After 7yrs in LA property management, I feel like I have seen it all with HVAC technicians. 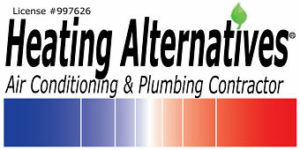 Believe me when I say Heating Alternatives LLC is the BEST IN LOS ANGELES. Kenneth has gone above and beyond to ensure that our home is properly cooled. We really threw quite a mess at him, and he’s done everything in his power to give us the best service. He is polite, communicative, AND he actually understands Nest systems! Do you know how many HVAC vendors I have worked with that run away in horror at the site of a Nest thermostat? Literally all of them EXCEPT the guys at Heating Alternatives! Seriously, these are your guys. You’ll love them! My AC unit had a leak and I was told that the most efficient way to have the AC running again was to add more freon. However, the leak was more severe than they thought so the technicians decided to locate and fix the leak, and now the issue is fixed permanently. Thank you Anthony, Jacob, and Kenneth for your continuous hard work and effective communication. Their service rates were also very fair and reasonable. These guys are amazing. We moved into a new house this summer, and have since had issues with both the central AC and furnace. Terrance and his crew scheduled visits for us promptly after we called. Each time, they fixed the issues quickly and explained what was wrong. They didn’t charge an arm and a leg and were exceptionally friendly and professional. Super easy to work with and highly recommended. I am a property manager and have used Heating Alternatives / Kenneth for a number of jobs now and he is nothing less than excellent. We first used him because he was the only vendor in his field willing to work on a couple of old floor heaters from the 1950’s. He was prompt, knowledgeable, thorough, fair-priced, and extremely trustworthy. Because of that, we have started using him for all of our HVAC needs and have yet to find something that Kenneth cannot fix. He has a lot of experience and a great breadth of operational knowledge. I know that when we call Kenneth for a job it will be done the correct way. That kind of confidence in a vendor is invaluable. I highly recommend using him. 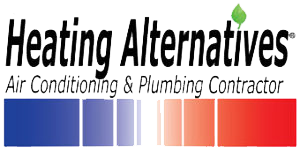 Kenneth of Heating Alternatives was contacted on 3/27/17 regarding a furnace that was not emitting hot air. He arrived within one hour of the call, diagnosed the problem and gave an estimate. In addition to the estimate, Kenneth also gave a good report on the condition of the furnace. In the past, the company that installed and serviced the furnace always stated that the furnace needed different parts replaced, that was expensive. The decision to not have the repairs done was because of the cost and the fact that it just didn’t seem right. Turns out that the feeling was correct, the company was about making money. The old company is out . After speaking with two other companies, that would not be available for a diagnosis for two days, it was decided that Kenneth would get the job. He arrived the next day at the agreed upon time, ready to work. After approximately 45 minutes to one hour, the furnace was working again Kenneth is honest, professional, knowledgeable. Did I say honest? Very happy with Kenneth and he will definitely be the only person we will call for future repairs. He is a keeper.